You may not be able to see it with your naked eye but the world’s smallest Christmas card exists, and it comes with a festive message. The card, which measures just 15×20 microns in size, was made by a team at the National Physical Laboratory (NPL) – the UK’s national measurement institute. According to the NPL, a standard postage stamp would be able to hold over 200 million of these cards. 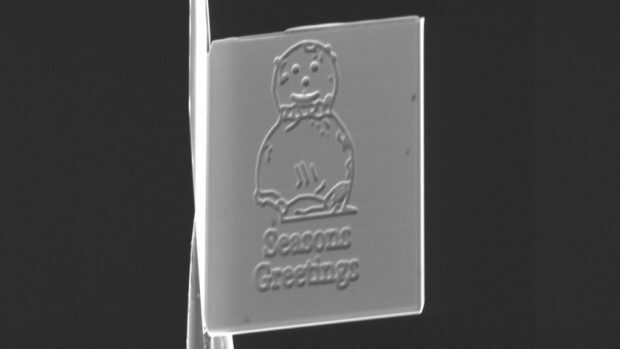 Made from silicon nitride and coated with platinum, the festive greetings card is so small is requires a powerful microscope to see it. The amount of platinum on it is said to be worth only 0.000002 pence. To make it 10cm in height, the card has to be magnified 5,000 times – which is the equivalent to blowing up a postage stamp to the size of a football field, the NPL said. 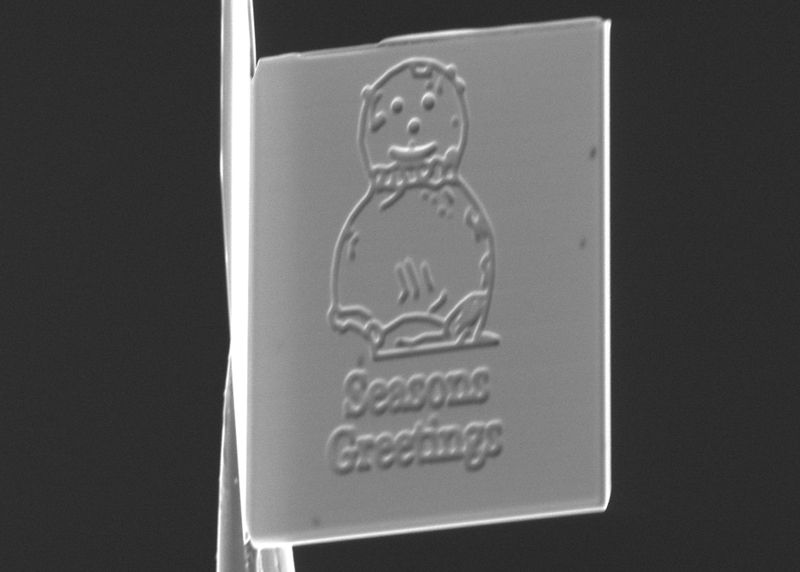 The card, along with the message inside, was carved using focused ion beam, which is a type of charged particle beam consisting of ions and is generally used to develop new battery materials. Dr David Cox, research fellow at the NPL, said: “While the card is a fun way to mark the festive season, it also showcases the progress being made in materials research on this scale. “We are using the tools that created the card to accurately measure the thickness of extremely small features in materials, helping to unlock new battery and semiconductor technologies.